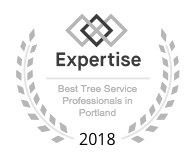 Unlike many other tree service companies in Portland, every one of our arborists is an ISA Certified Arborist, not just one we keep on staff for marketing. The most highly trained ISA Certified Arborists on every crew. No exceptions! 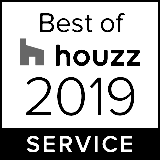 We’ve won the Angie’s list super service award 6 years, putting us in the top 5% of our industry. Read through our many reviews collected both here and across the web. We’d love to hear from You too! Many people search for a "tree service near me" or "arborist near me" and hire one of the first companies that come up without doing much more research. While having an arborist nearby is important, it's also important to know that you're hiring the right company for your job. Urban Forest Professionals are ISA Certified Arborists providing Portland with high-quality tree service for over 15 years. Our tree services include tree removal, tree pruning, cabeling, stump grinding and more. If you're looking for a qualified arborist near you to help with your tree needs, call us today for a free estimate! Are you concerned about that tree in the front yard? Have tree branches been falling off that evergreen tree over the garage? Or maybe you just need tree removal or some regular tree pruning to let that rare Portland sunshine shine in? No matter the issue, you can feel safe when your tree services are in our hands! With the help of experienced, licensed, and dedicated arborists in Portland, you can transform your tree growth from jungle wild to paradise perfect! If you have trees on your property, you need regular tree services! Our clients tend to consist of both private and commercial properties, and our arborists can meet the needs of both! Whether you want to take proper care of the family home by cutting away some aggressive branches, or need to prune the trees around your business complex, Urban Forest Pro in Portland is fit for the job! Request a free estimate for tree services at your home or office today! The service was excellent. They were efficient, quick, and did what they said they were going to do. They did quality work. Very pleased with the work. The trees look great and the work was reasonably priced. I would definitely recommend them to others. I thought the pricing was very reasonable and they did a good amount of work. They trimmed a large tree in the back yard. They sent out four guys to complete the work and they had it done in a few hours. They arrived on time and did a nice job trimming the tree. They did a great job with the cleanup. · Why are leaves green? · How long does an oak live? 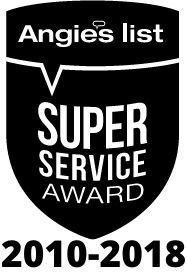 · How tall can cottonwood get? · How often should I prune my rhododendrons? · How does pruning affect my cherry tree? · What are the best trees for the pacific northwest?